From the moment you walk through the door for physical therapy in McAllen, Mission, Rio Grande City, and Weslaco you’ll find a team of caring professionals who are dedicated to your wellbeing. Our team provides relaxing physical therapy in McAllen, Mission, Rio Grande City, and Weslaco and is here to answer your questions and explain your treatment plan. If you need our assistance, we are here to help. We make it easy to get the care you need by offering a variety of appointment times to fit your schedule. To learn more about our staff, facilities, equipment, treatment plans, contact us using the form below. To expedite your first visit for physical therapy in McAllen, please download the applicable paperwork. Print it, complete it and bring it with you when you come in for your first visit. Our team is here to answer your questions and explain your treatment plan. We can provide any required documentation, including Workers’ Compensation, depositions, and expert witness services. If you need our assistance, we are here to help. Aquatic therapy consists of an exercise program that is performed in the water under the care of a Licensed Physical Therapist. This type of therapy uses the physical properties of water to assist the patient with pain reduction, general strengthening, improving joint motion using gentle resistance or assistance, and gentle compression to areas with inflammation. Please arrive 10-15 minute prior to your evaluation in order to complete the appropriate paper work or you can download the paperwork from our website and have fill it out prior to your appointment to make the process easier. At that time, our office staff will review your personal explanation of rehabilitation benefits quoted from your insurance provider. During your first visit, your therapist will conduct an initial evaluation to assess your current condition. 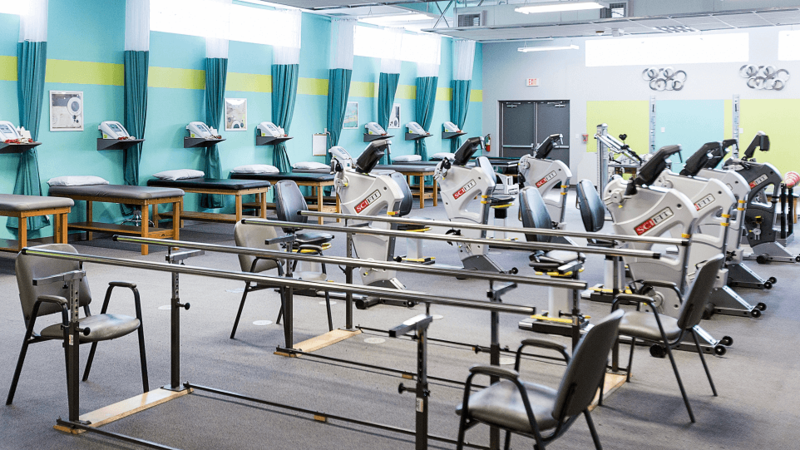 Your initial evaluation may consist of objective findings and testing followed by an appropriate treatment plan, encompassing a home-exercise program, and discussing the length and frequency of your rehabilitation. A copy of your Initial Evaluation will be sent to your physician. You and your therapist, in cooperation with your physician, will determine what goals are to be achieved during physical or occupational therapy. To ensure clear and concise communication to your doctor and insurance provider, your therapist will use electronic documentation during each visit to document your treatment and progression toward these goals. Please plan for a 30 minute to 1 hour assessment. Remember to wear clothes that are suitable for your treatment. Please also bring your insurance card, the prescription you received from your healthcare provider and any other reports/paperwork/results that you may have as well. Should you be using any medical assistive devices such as a brace, splint or crutches, please be sure you bring them to your visits. When is physical therapy a good choice? Research has proven that physical therapy can help individuals avoid surgery in some instances. A combination of manual physical therapy and supervised exercise can delay or prevent the need for surgery. Pursuing an exercise program designed by a physical therapist can be one of the best protections from injury and surgery. We at Athletico recommend you speak to your healthcare provider about prescribing physical therapy before other methods such as prescription medication. Why are people referred to physical therapists? In most states, physical therapists cannot make a medical diagnosis. This is something that your medical doctor will provide for you. Physical therapists are important members of your medical team. At this point in time, physicians are typically the health care providers that will provide you with a medical diagnosis.